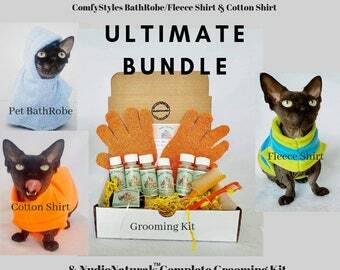 Announcement ComfyStyles offers Quality Handmade Clothing, Accessories, Grooming & Toys for Pets & Their People. Our items are ideal for Hairless & hard to fit breeds of Dogs & Cats like the Sphynx, Bambino, Chinese Crested & Italian Greyhound. 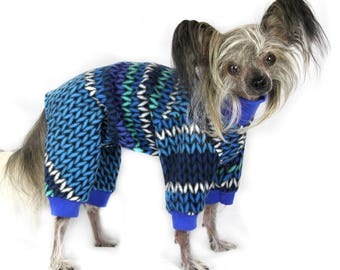 However our items are for ALL Breeds ;) We also have items for their people like scarves, hats, bags and a Vintage Jewelry Section for estate pieces! 1 DAY SHIPPING listings are items that are in stock & ship within 1 business day! All other listings are handmade to order and allow you to create a custom look just for your little one! PLEASE NOTE: Items vary in processing time, I try to keep within a 1 to 5 business day window (not including holidays or weekends). I always do my best to ship as quickly as possible, but as my items are handmade with care by me, sometimes I get a little behind if there is a large number of orders in a short time. ***Be sure to check back often as I add new listings and update fabric choices frequently*** Please feel free to reach out if there is something specific that you are looking for. Thank you all so much for your amazing support! Stay COMFY Friends! 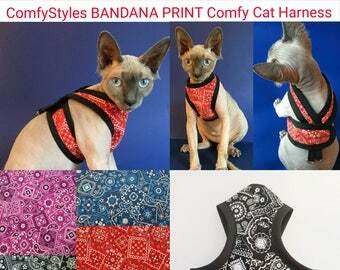 ComfyStyles offers Quality Handmade Clothing, Accessories, Grooming & Toys for Pets & Their People. Our items are ideal for Hairless & hard to fit breeds of Dogs & Cats like the Sphynx, Bambino, Chinese Crested & Italian Greyhound. 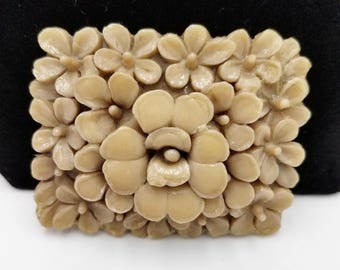 However our items are for ALL Breeds ;) We also have items for their people like scarves, hats, bags and a Vintage Jewelry Section for estate pieces! 1 DAY SHIPPING listings are items that are in stock & ship within 1 business day! All other listings are handmade to order and allow you to create a custom look just for your little one! PLEASE NOTE: Items vary in processing time, I try to keep within a 1 to 5 business day window (not including holidays or weekends). I always do my best to ship as quickly as possible, but as my items are handmade with care by me, sometimes I get a little behind if there is a large number of orders in a short time. ComfyStyles HOLIDAY SALE IS ON! 10% OFF the entire store! Any purchase $25 &up will see discount at checkout NOW THRU DEC 1! Stay Comfy Friends! ComfyStyles 10% OFF STORE WIDE WEEKEND SALE! ENDS TOMORROW STAY COMFY FRIENDS! 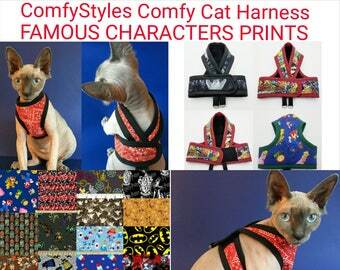 ComfyStyles Quality Handmade clothes, toys & accessories for pets & their people! Hello 👋! To share a bit of myself & inspirational background; I have a love for all things animals and all things COMFY! I have always dreamed of having an online store (yes really!) and my determination was renewed when I unfortunately was injured in a car accident & unable to work. During this difficult time, I found so much comfort in my 2 Chinese Crested Dogs (Sake and Neko) and my Sphynx Cat (Atreyu), my family. They are by far my biggest inspiration. I've always been a creative person and I'm very sincere by nature. I want the items that are in my store to be handmade with love. I really want to bring a sense of family and comfort to my store. I'm also a big geek at heart. I love pop culture, movies, fandom shows & video games. I'm sure that you'll see this influence in my craft as well ;). I'd like to express a GIANT THANK YOU to all of my customers for all of your support. You've all been so wonderful. ComfyStyles & all of you mean the world to me and I'm working hard to grow the shop everyday ❤ I love so much to see your pictures & read your reviews. It brings me a lot of joy. Thank you again SO much for your support in choosing handmade. Please reach out with any questions, I'm always happy to help. Stay COMFY friends!! Hi! I'm Sheena, owner/seamstress at ComfyStyles. I'm a lover of animals, nature & creativity. I'm happiest hiking in the mountains, snuggled up watching movies or crafting. My nekkids are my world, Sake & Neko my Chinese Cresteds & Atreyu my Sphynx. Collaborative partnership. 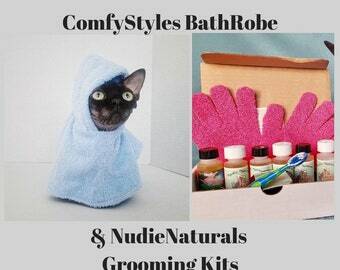 All Nudie Naturals Products made exclusively by Nudie Naturals/ComfyStyles Products made exclusively by ComfyStyles.